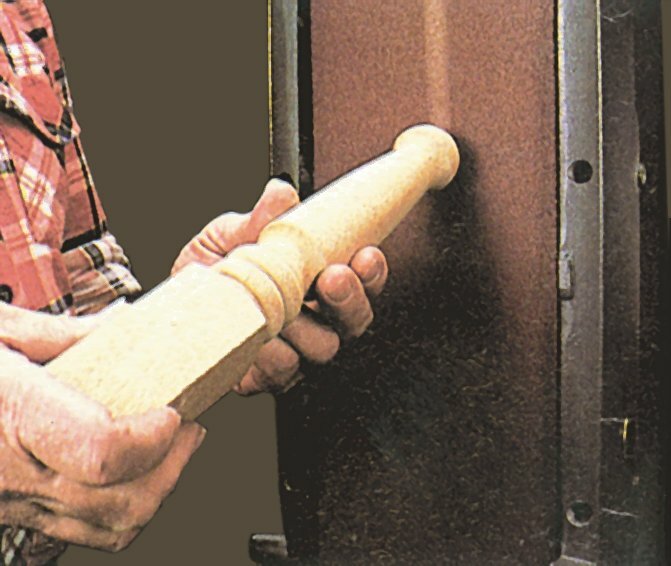 Great Features Help You Eliminate Hours of Tedious Hand Sanding! Few tools will save you more work and time than a stationary belt sander. Its straight line action removes stock quickly and easily... then smooths surfaces and edges to a glass like surface by changing to a fine grit belt. When you want to remove stock quickly, sand across the grain. When you want to smooth stock, sand with the grain. 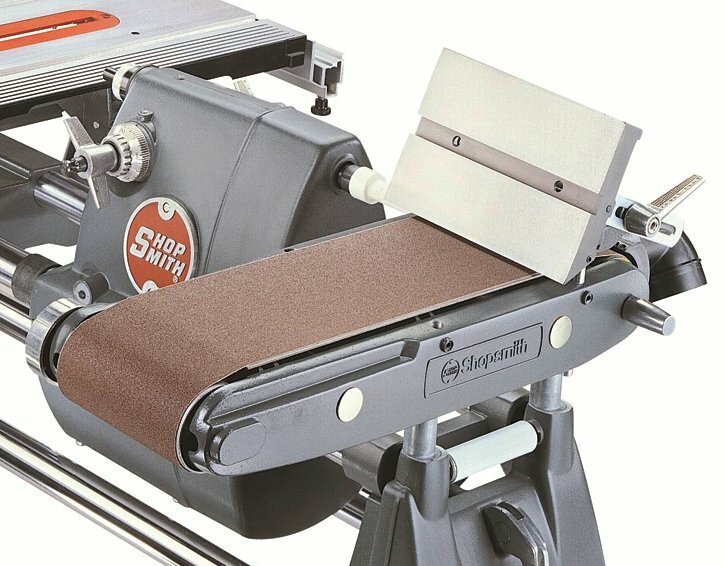 In fact, thanks to its straight-line cutting action, you can produce surfaces or edges that are smooth as glass and straight as an arrow by merely changing to a fine grit belt. When you need true 90° edges, position the worktable along the side of the belt so its surface is 90° to the belt surface... then use the table as a precision rip fence-type guide. 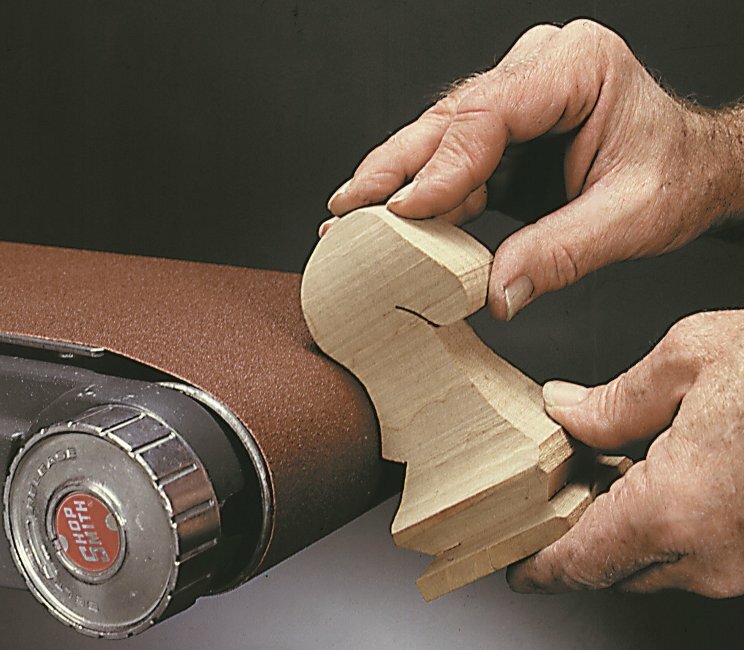 When you need precise, 2-way 90° corners, position the worktable across the belt with its surface 90° to the belt surface... then use the table as a precision back-up to maintain the angle of the stock during sanding. 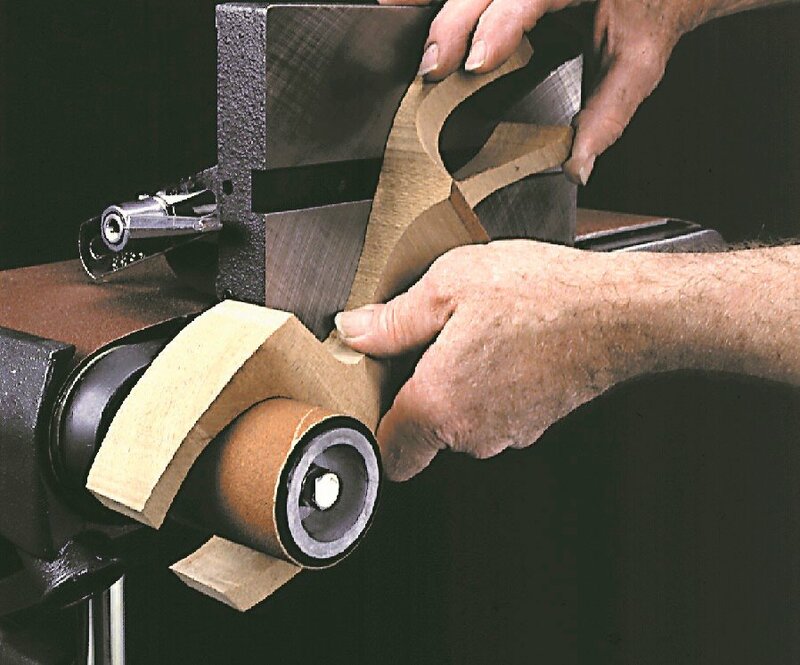 When you need precise, 3-way 90° corners just use your belt sander's table slot to bring your Mark 7 / Mark V miter gauge into the equation for even more control. As with all Shopsmith Special Purpose Tools, your belt sander offers a number of great features and accessories to help you make everything you make - better. 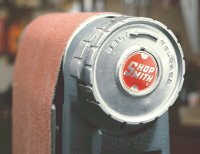 Mark 7 / Mark V or Stand Mount -- Every Shopsmith Special Purpose Tool offers the option of mounting and powering it with your Shopsmith - or with its own, individual, motorized stand. 6" x 9" Support Table -- Tilts and locks into position to control sanding angles and to act as a back-up during certain operations. It may be used across the belt, parallel to it on either side or at any angle for support when surfacing or edging stock. Your Mark 7 /Mark V's miter gauge or the Shopsmith Tenon-Master jig may be used with the table for added control. Automatic Belt Tensioning and Tracking -- Just twist the tensioning knob until it clicks to release the tension for belt changes. 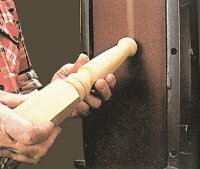 Then, depress the knob release lever and everything snaps back to normal automatically. No tension settings required. Special high-crown drum helps to keep the belt on-track at all times, without the need for constant adjustments. Free-Running Belt on Back Side -- Since the back side of the belt has no back-up plate, it will flex and give to match the external contours of workpieces. Built-In Dust Collection Port -- 2-1/2" dust collection port helps you capture the fine dust created by your belt sander before it gets into your shop environment. Auxiliary Power Shaft -- 5/8" shaft extends from the drive roller to accept the Shopsmith Drum Sander (505552). 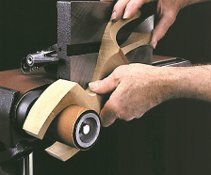 Or, use your Shopsmith 1/4" Router Chuck to hold our small drum sanders. Belt Size 6" x 48"
Table Size 6" x 9"
Backup Plate 6" x 16-1/32"